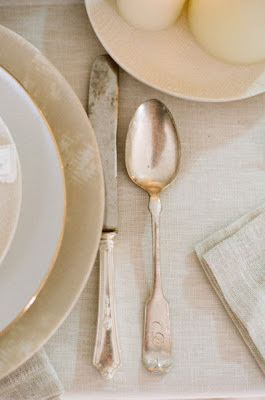 I love the feel of this photo with the lovely vintage cutlery - isn't it wonderful!? And here is my inspirational card. The fork & spoon is an older stamp from Hero Arts (I love this stamp and use it often for placecards and such) - it is stamped in StazON Platinum ink. The papers are Bazzill Cardshoppe & Hero Arts Layering paper (for the card base). I used the swirl from the Hero Arts Friend Collage cling set (new for 2013). 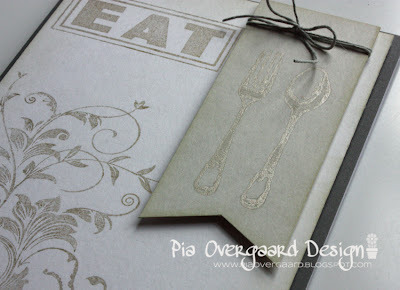 Wow Pia - love what you created. Amazing - reckon it will be showcased next Tuesday - it's a stunner/winner in my book! love this - colors, design, everything combine so well for a beautiful card! 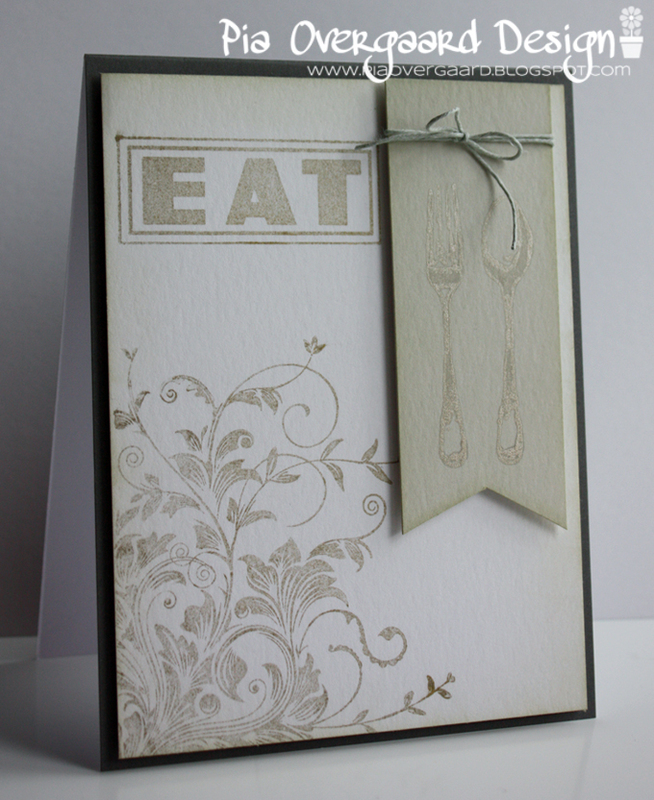 Lovely card - subtle colors and perfect design. So very elegant! That ink shows beautifully on your card and I love the sketch you used! Det er så smukt og elegant, Pia... så fint med gaffel og skeen. Such an elegant take on the trigger, love that flourish! Such a pretty card and an awesome take on the Trigger! Love everything about it.